Make use of our Winter Special of 20% discount for any reservations made during May, June & July 2018. This special apply on all our upgraded rooms and your arrival date can be any date during 2018. Stay 3 nights or more and we will INCLUDE a FREE Carrol Boyes Limited Collection Red Wine Gift. We have limited stock on this “Amazing Special”, so please make sure we include it on our written quotation to you. Contact us IMMEDIATELY to ensure availability if you are interested in staying with us. Stay 5 nights and get one extra night FREE on accommodation. Accommodation nights do not have to be consecutive and FREE nights may be accumulated. Take advantage of this huge discounted special which ALSO includes full English breakfast for your entire stay in our unique venue. Terms & Conditions Apply. Please send this to any frequent traveler you think may want to take advantage of this incredible offer and tell us if you “Like” this special on Facebook. Are you involved or responsible for the reservation of accommodation when your company and/or organization delegates need to visit Pretoria? Why don’t you book them at our exclusive venue in Waterkloof, close to the highways, major airports and part of the vibrant hub in our city, Pretoria. The GREAT news is, you can earn free nights at Waterfalls Boutique Hotel which may be converted into cash, should you rather prefer spending money instead of making use of the accommodation advantage. For every 10 paid nights (in separate bookings or one single booking) that you book or motivate to be booked, you will be receiving a WBH Voucher enabling you to book a FREE NIGHT at our unique venue. Should you rather prefer to cash in your FREE NIGHT voucher, we will use your voucher to pay for your next booking and the cash will be paid out to you in a banking account that you will advise. T’s & C’s Apply. Flights between Pretoria (Wonderboom Airport) and Cape Town. 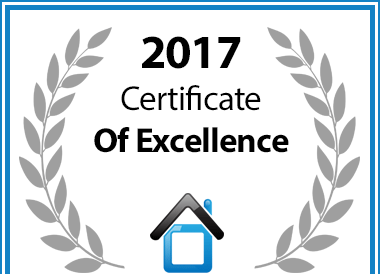 In recognition of exceptional service Waterfalls Boutique Hotel is hereby awarded a Certificate of Excellence.